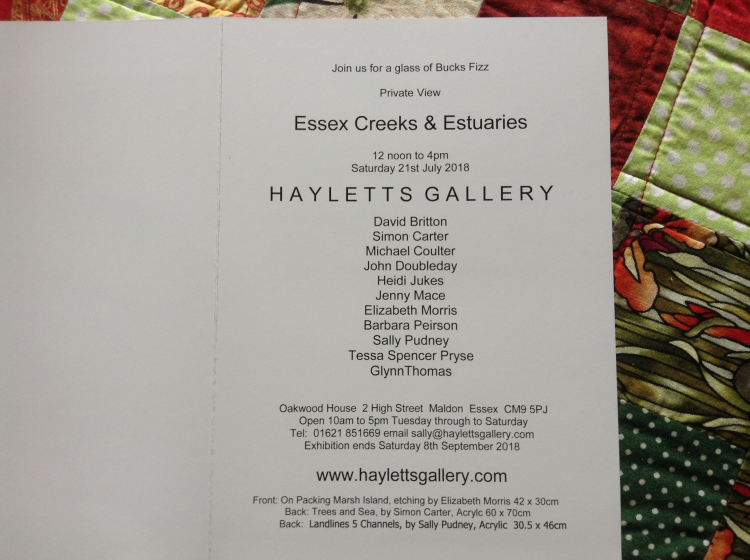 I am delighted to have been invited to take part in this summer’s exhibition at the Haylett’s Gallery in Maldon. 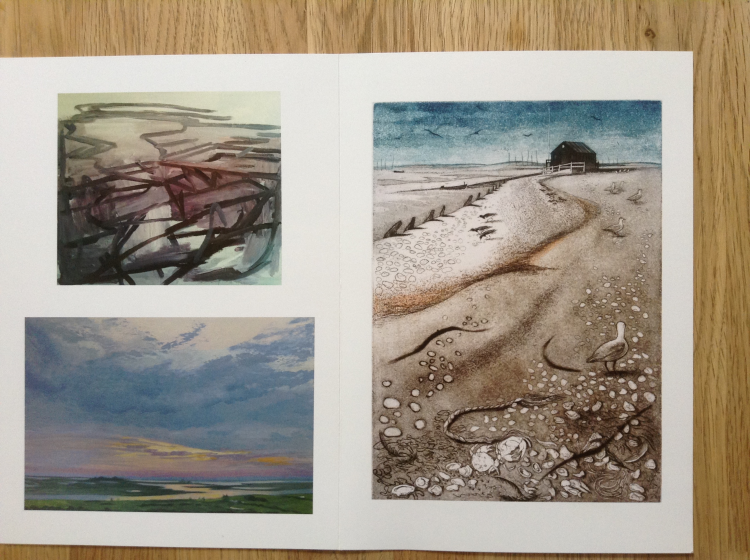 Sally Patrick has chosen the theme of Essex Creeks and Estuaries. This is a lovely one for me bearing in mind the subjects of my painting projects this year and last! The Private View invitations arrived a few days ago. I was thrilled to see one of my paintings chosen to go on the back! One of Liz Morris’ lovely etchings is on the front, with a painting of Simon Carter’s on the back above mine. I have eight paintings in the exhibition in total. I was pleased to see some other artists whom I already know will also be taking part. Elizabeth Morris, Barbara Peirson and Glynn Thomas have all shown at our Arts Festival in past years. The show is on right through the summer from 21st July until 8th September, so lots of time to visit – but note that the gallery is closed on Mondays.